Task management in any business refers to the managing process of a task or project through its life cycle. This includes the planning, scheduling, information and, the tracking of any set milestones. Many business owners of today use task software to assist them in day to day tracking, planning and managing their tasks or projects. Task management software come in various types such as project management apps, strategy software etc. Many people think that only big business owners need to have project strategy software with task management as it tends to get chaotic running a big establishment, however, even small business owners feel the need to easily organise and manage tasks more efficiently. So, task management software is extremely helpful in not only managing and organising but also at setting budgets and resources for any business, regardless of type and size. Here are some of the reasons why task software is very important for a small business. Without a proper system, it can be difficult for both you and your team, no matter how big or small to stay the course in terms of a schedule. This is because there would be no set guideline on which tasks need to be performed by which members and when they need to be completed. Often employees report to work and leave without knowing what kind of task they should be working on. This, in turn, affects the productivity levels of the whole business. By using a task software, each and every employee’s tasks and projects will be outlined and highlighted thus making it visible to see by the said employee. Moreover, this will help set deadlines, priorities, schedule any important meetings about specific tasks and avoid any misunderstandings or overlapping of schedules. Although it may seem like small business owners never have to worry about their budget and costs exceeding the limits, this is very wrong. Especially small business owners have to keep very careful track of their costs and budgets to ensure that there is no loss to the business. By using a task management software, small business owners will be able to keep careful track of your costs and budgets and then make any due adjustments later on. When you track tasks, you create efficiency thus tracking the expenses of your business and its tasks, you will also be tracking its progress. Many task software allows you to input time-sheets and task expenses into the system. Thus, saving time and increasing productivity. Even when discussing a small business, there are times when a large project or task is about to be started. In this case, each member of the team is given an individual task. Task management solution ensures that all team members are on the same page and chances of confusion are reduced. So, this helps to simplify tasks that require team collaboration. By using task management software, any questions or concerns can be addressed directly and internally within each team without the need to waste time looking for resources. The chances of any and all miscommunication are reduced largely. Task management software tools also perfects document sharing, updates that are needed to be given to the team and, timelines. For instance, the team members will need to be notified how much time is left until the deadline for a certain task or project. Resource management is also another reason why task software tools may be important. Team management is very important to ensure proper operation of the activities and projects of your business, however, managing your business’s resources is also extremely vital to gain maximum productivity and efficiency as well as have minimal wasted time. When you are aware of all the materials and resources that your project needs, your team and you can easily begin working on the assigned task without any delays or interruptions. 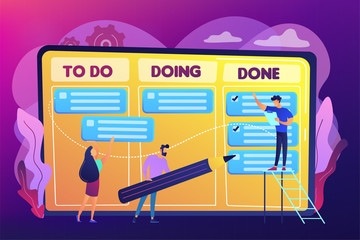 Task management software tools highlight the resources that will be needed for a specific task and in what part of the project they will be used. Moreover, it also estimates the cost that of the resources needed. This is extremely beneficial as it helps you to avoid using resources that are too expensive but give the same results as cheaper ones. Many businesses from all around the world use Excel spreadsheets and some still rely on the use of pen and paper to keep track of their business’ s and employees progress. This arrangement, however, can be damaging to your business. This is because many times data from spreadsheets contain errors. According to research, almost 88% of spreadsheets contain some sorts of errors in them. This is very harmful to a business that uses it for handling any kind of business operations and uses it for their business’s financial analysis. By using a task management software, your business will be guaranteed accurate results based on the information you provide. Some features that various types of task software may offer are data storage, quick access to files and folders and, reporting assistance. The data storage aspect of task management software includes storing expenses of the business, any bills or payments given to clients, costs of project resources, any upcoming or previous events, all completed and incomplete tasks and much more. As far as the reporting assistance feature is concerned, task software provides tracking and monitoring that is very important for your tasks progress reporting. It helps you to find any current or potential problems in the project and later, how to resolve any found problems. All in all, task software will help you save unwanted extra time on projects that otherwise would have been wasted and increase the overall efficiency of the business. This, in turn, increases your business’s revenue and sales in the long run. So, whether your business is big or small, using task management software will prove very helpful to your business.